Delsena “Del” Henningfield, 84, passed away unexpectedly Monday February 4, 2019 at her home in Washington. Funeral services will be held Saturday February 9, 2019 at 10:30 AM, at the Beatty Funeral Home in Washington. Burial will be held at the Oxford Cemetery in Oxford at 2:00PM. Visitation will be Friday February 8, from 5 – 7 PM at the funeral home. In lieu of flowers memorial donations may be directed to United Presbyterian Home, Our Redeemer Lutheran Church of Iowa City, and Concordia Seminary of St. Louis. .
Delsena Ellen Henningfield, the daughter of Christy and Sarah Leta (Bruner) Kahler was born September 29, 1934 in Oxford, Iowa. She graduated from University High School in Iowa City. On June 12, 1955 she was united in marriage to Richard W. Henningfield at St. Paul Lutheran Church in Iowa City. Del was a devoted wife and mother and enjoyed her role as homemaker. 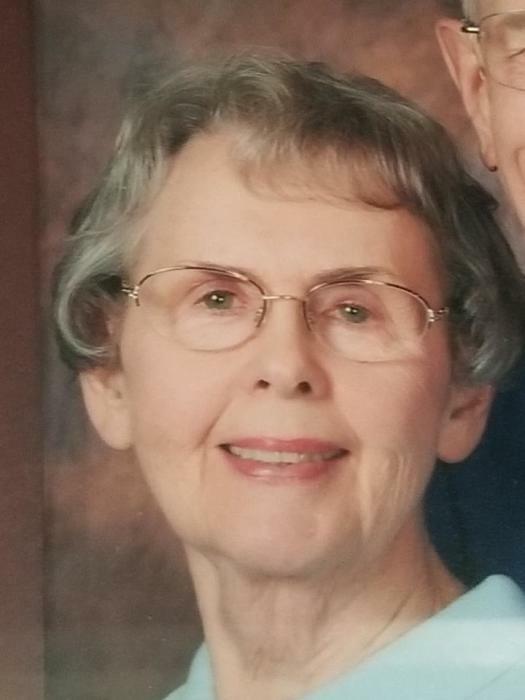 She was a member of Our Redeemer Lutheran Church and enjoyed reading scripture, attending yoga classes at the UP Home, word search puzzles and spending time with her family. She is survived by her husband Richard of Washington, five children: Craig (Sheryl) Henningfield of Steamboat Springs, CO, Jeff (Kim) Henningfield of Columbus Jct., IA, Diane (Bill) Grimm of Arnold, MO, Mary (Tom) Hoden of Council Bluffs, IA, Steven (Lori) Henningfield of Northbrook, IL, 12 grandchildren, 19 great grandchildren, and one sister Lureta J. Kahler-Gibson of Toledo, IA.